Prilosec (omeprazole) is part of a class of drugs called proton pump inhibitors (PPIs). It treats severe stomach acid-related conditions. It is not meant for treating occasional heartburn. But many people may use it for that condition. Prilosec side effects include serious kidney damage. Prilosec (omeprazole) is the oldest proton pump inhibitor approved in the U.S. The U.S. Food and Drug Administration approved Prilosec in 1989. Prilosec is a powerful heartburn medicine. It suppresses the body’s ability to produce stomach acid. Studies link Prilosec to serious side effects. Serious Prilosec side effects include increased risk of kidney failure and cancer. Prilosec is a medicine designed to reduce stomach acid. If a person has too much stomach acid, it can flow into the esophagus. This can cause severe forms of heartburn and other medical problems. Prilosec is part of the class of drugs called proton pump inhibitors. It has an almost identical chemistry to Nexium (esomeprazole), another AstraZeneca PPI. Other PPIs include Prevacid, Protonix and Zegerid. Prilosec helps treat conditions caused by too much acid in the stomach. Prilosec shuts down tiny pumps in the stomach that produce acid. This reduces the amount of acid in the stomach. 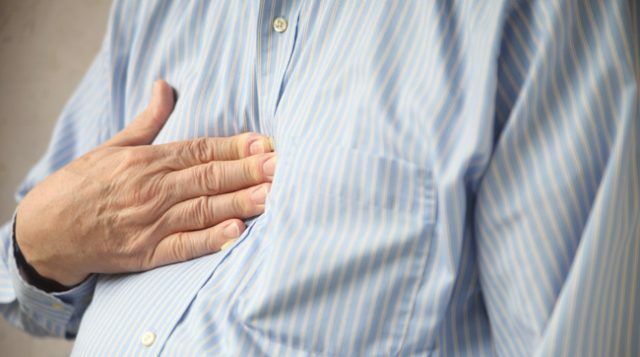 Omeprazole relieves heartburn and other symptoms of gastroesophageal reflux disease (GERD). People take Prilosec to help heal acid damage to the esophagus and stomach. Another Prilosec use is to help prevent ulcers and cancer of the esophagus. Prilosec is approved to treat acid-related conditions including gastroesophageal reflux disease. The FDA approved prescription Prilosec in 1989. People use Prilosec to treat serious medical conditions related to stomach acid. Prescription Prilosec is not approved to treat simple heartburn. The best time of day to take Prilosec is before a meal. The FDA approved Prilosec OTC in 2003 to treat frequent heartburn. This is heartburn that happens two or more days a week. 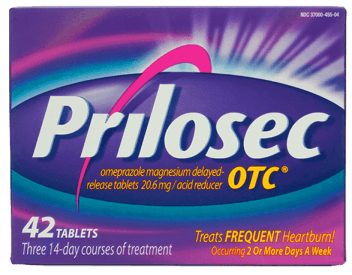 People should not use Prilosec OTC to treat less frequent heartburn. Prilosec OTC is the over-the-counter version of Prilosec. It is probably the most familiar version of the medicine. Comedian Larry the Cable Guy popularized Prilosec OTC in direct-to-consumer ads. Prilosec OTC is the over-the-counter version of Prilosec. Some people prescribed proton pump inhibitors take Prilosec OTC to save money. Prilosec OTC has the same active ingredient as the prescription version, but it is cheaper. People should let their doctors know if they are taking Prilosec OTC. The FDA warns about overusing Prilosec OTC. It says people should not take over-the-counter PPIs for more than 14 days. The FDA also warns against taking more than three 14 day courses in a year. Overuse may lead to serious Prilosec side effects. Risks for both prescription and OTC versions of Prilosec are the same. Studies link the most serious Prilosec side effects to long-term use. The FDA has added warnings about Prilosec dangers to the drug’s label. These range from bone fractures to kidney dangers. Serious Prilosec side effects are rare. But they can be life-threatening. Less serious Prilosec side effects may be more common for people taking the drug. Prilosec overdose is possible. Early signs of a Prilosec overdose include passing out or trouble breathing. People should seek immediate medical attention if they suspect an overdose. In the U.S., people should call 911 if they think someone is experiencing a Prilosec overdose. They can also call their local poison control center at 1-800-222-1222. Several studies link PPIs like Prilosec and Prilosec OTC to serious kidney problems. Prilosec dangers include an increased risk of kidney disease and long-term kidney damage. A study looked at 125,000 PPI users over five years. Researchers found kidney problems developed silently. Half who developed chronic kidney damage never had kidney problems before taking PPIs. Researchers found long-term PPI use almost doubled the chance of kidney failure. Canadian researchers reviewed medical records of 290,000 people. They found PPI users were more likely to suffer acute kidney injury. Hundreds of lawsuits claim Prilosec can cause kidney damage. Prilosec lawsuits blame Prilosec and Prilosec OTC for several serious kidney problems. In 2017, a federal panel combined PPI lawsuits into a multidistrict litigation (MDL). MDLs allow several similar lawsuits to move more quickly through the courts. As of April 2019, there were 10,373 lawsuits pending in the MDL. Researchers continue to find new Prilosec dangers almost 30 years after the drug won approval. Recent studies have linked PPIs to risks ranging from heart attacks to cancer. Prilosec can also cause problems for children. Women should consider risks before taking Prilosec during pregnancy. Recent studies have found links between PPIs like Prilosec and cancer. A 2018 study looked at medical records of 796,000 patients. They included every adult in Sweden given PPI therapy over seven years. Researchers concluded PPIs caused five percent of all esophageal cancer cases. In 2017, Researchers looked at PPI use after Helicobacter pylori treatment. They found long-term PPI use doubled the risk of gastric cancer. A 2016 study found Prilosec can increase a person’s risk of stroke. A 2015 study linked PPIs like Prilosec to increased heart attack risk. A 2016 study in Circulation found PPIs increased stroke risk by 21 percent on average. But risk varied by the type of PPI and the dose. Researchers found Prilosec in 40 mg or higher doses increased the risk by 40 percent. Researcher looked at 16 million medical documents for 2.9 million people. They found heart attack risks more than doubled among PPI users. People with existing liver problems should ask their doctor before taking Prilosec. The medicines can change how a person’s liver works. Their doctor may choose a lower dose. Or the doctor may want to consider Prilosec alternatives. A 2018 study reinforced a link between PPI use during pregnancy and asthma in children. It reviewed eight population-based reviews. Women who took PPIs during pregnancy had children with a greater risk of asthma. A 2017 study found similar results. Researchers reviewed medical records from 1.6 million patients. They found children born to mothers who took Prilosec or other PPIs were at greater asthma risk. The risk increased by a third for these children. A 2017 study found higher bone fracture risks in children given Prilosec or other PPIs. Researchers reviewed 874,000 children’s medical records. They zeroed in on those children given PPIs before their first birthday. The researchers found those children had a 22 percent greater risk for fractures. Prilosec may cause drug interactions with more than 160 different medicines. At least 29 of those drugs may result in serious reactions. The FDA advises people to avoid Prilosec OTC with certain prescription medicines. The agency issued a public health advisory on Prilosec OTC in 2009. Drug interactions with Prilosec OTC can lead to medical problems. Prilosec can also weaken the benefits from certain chemotherapy and HIV antiviral drugs. People should talk with their doctor about the drugs they are taking. They should also look at the full list of drug interactions on Prilosec’s label before taking it. People may want to ask their doctor about Prilosec alternatives. These may include other classes of drugs. People may be able to treat heartburn with antacids or H2 blockers. Diet and exercise changes may also work for other people. But PPIs may be the only option for some conditions. People should never stop taking Prilosec without a doctor’s supervision. 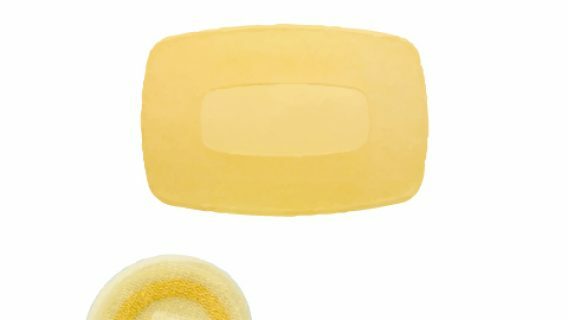 Stopping suddenly can cause other medical problems. People should work out a plan with their doctor to step-down slowly over several weeks.